What’s in a Content Management System? At Creative Media Alliance, a full-service Seattle marketing company, when we build a website, we use a content management system (CMS) as a framework for functions such as content editing, security, search engine optimization (SEO), ecommerce, user management, and media management. The CMS enables clients to easily control their website content without having to dig into the site’s code and potentially disrupt vital elements. Until recently, the CMS we chose depended on the size and requirements of the site. Joomla or Drupal were utilized for complex sites with many back-end users (i.e. editors, contributors, administrators, etc. ), while WordPress was seen as a simpler program for quicker, smaller sites. 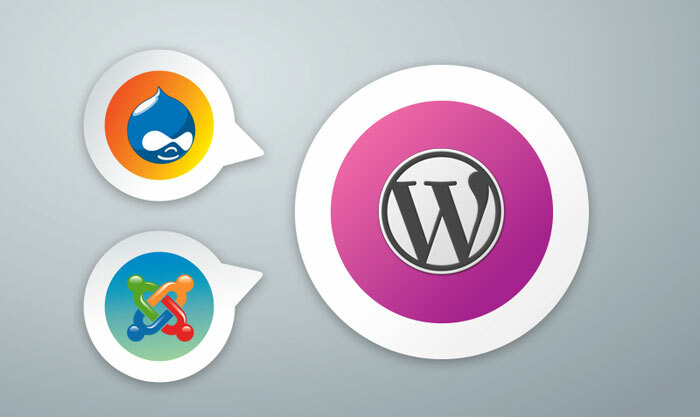 However, in the past few years, WordPress has become the dominant CMS with much more robust functionality, while retaining its user-friendly simplicity. As website builders and content producers, we recognized the potential for using WordPress to build more complex websites, sites that just a few years ago we would have built in Joomla or Drupal. Who Needs a Guinea Pig? After some research and soul-searching, we decided to migrate our own website from Joomla to WordPress. The results were astounding. The initial WordPress build took a fraction of the time compared to our original Joomla build; we were able to match (or exceed) the functionality we previously had; and, even with dozens of content producers, populating and maintaining our content is a much smoother process. Plus, any time we want to add functionality, we simply research a plugin or build our own. Because WordPress is an open source project, it is completely customizable and open to any user. 1. Tremendous Market Share: More than 60% of all websites that use a CMS use WordPress. 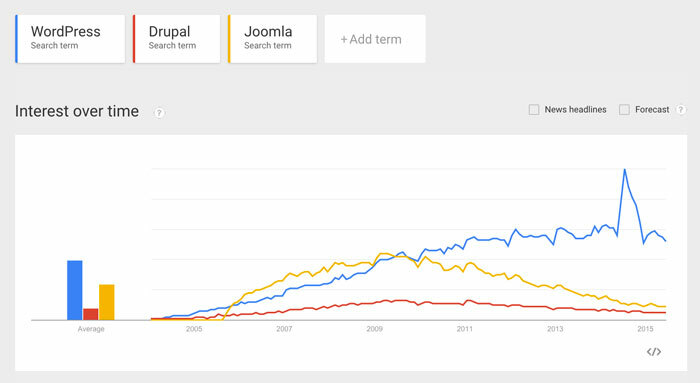 Compare that to Joomla’s 7% or Drupal’s 5%. That market share means more people are programming for the CMS. This results in unmatched extensibility and input from programmers across the world. And with a little bit of attention to security, hacking concerns are easily mitigated. 2. Unmatched Documentation: Creating our own custom plugins and templates is made easier by an abundant wealth of documentation, both official and unofficial, created by the extensive WordPress community. That means we can spend more time building and less time researching and rebuilding. 3. Swift Prototyping and Rollout: Unlike Joomla or Drupal, the back-end of WordPress is consistent and uncomplicated. This means user education is minimized and workflow ease is maximized. Do you have a website built in Joomla or Drupal? Are you tired of the complexity of the back-end? Do you want to be able to change content or add features without having to start from square one? Let our Seattle advertising agency examine your existing site, and don’t forget to check out our branding services and media buying services to make sure your new website is getting all the traffic it deserves. WordPress, it’s easier than you think.